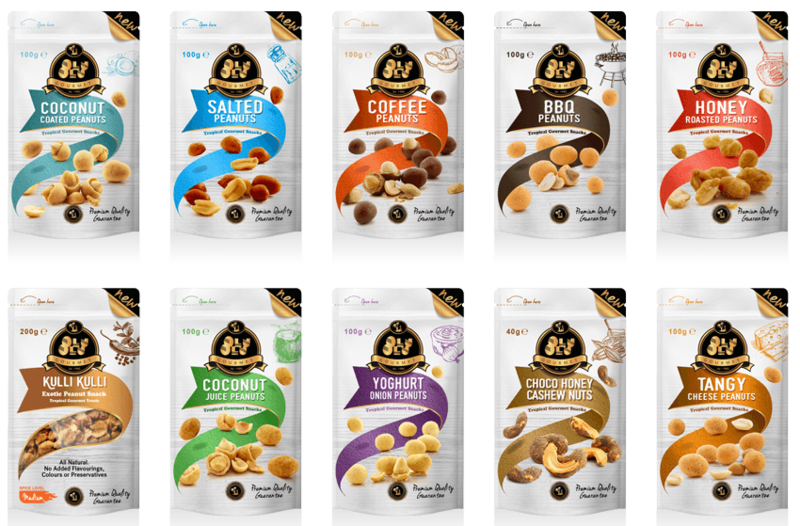 Olu Olu® Coconut Chips is the most delectable snack on our roster. 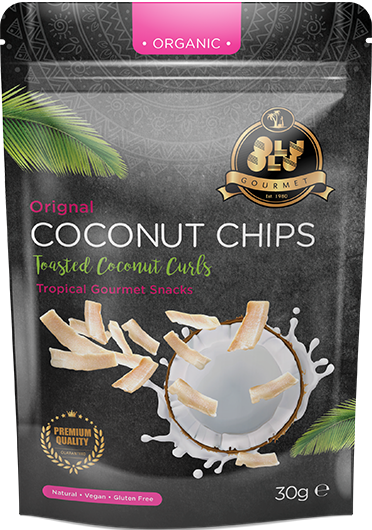 With the perfect taste and crunch, each bag of our coconut chips contains our secret recipe of light, crispy coconut bites, bursting with hearty goodness and brimming with tropical aromatic flavours. 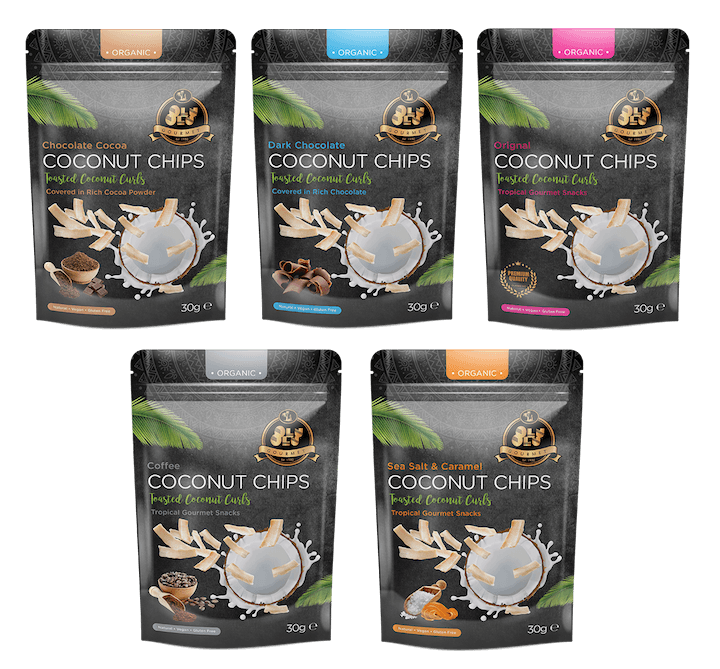 The sheer freshness and unique authentic flavours of our Coconut Chips has made it arguably one of the most sought after in the UK. Add as topping on canapés, appetizers or entrées. Great for pairing with sparkling beverages like Wine, Beer, Ciders and Cocktails. 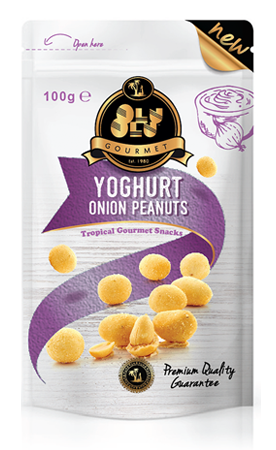 Olu Olu® offers another tropical gourmet snack in quirky new flavours. Pan roasted peanuts available in Coffee, Yoghurt, Coconut, BBQ and Tangy Cheese flavours to name a few. Each bag contains our specially cooked peanuts, brimming with succulent tastes and bursting with natural sweet flavours, making them irresistibly moreish. Crunchy and creamy, these little flavoursome beauties are as perfect for snacking as they are with pre-dinner drinks. Great to snack on straight out the pack, and they also work well with a variety of dips and sauces. 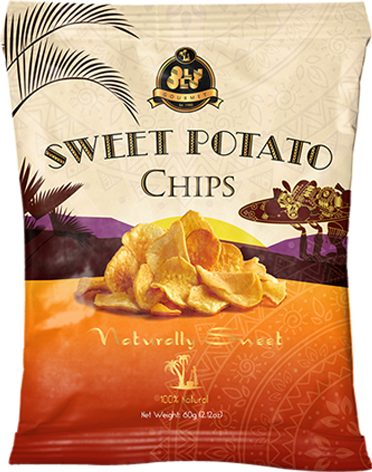 Olu Olu® Sweet Potato Chips is another delicious, nutritious snack that bolsters our snack range. It is made from just two ingredients: Sweet Potato and Salt. The Sweet Potatoes are harvested in Nigeria, where they are also processed into chips and hand-cooked in small batches by artisan chefs. The result is an all-natural and high quality snack that packs a naturally sweet flavour and plays very well as a snack, appetizer or cooking ingredient. Add toppings of your choice to make your perfect canapé, appetizer or entrée. 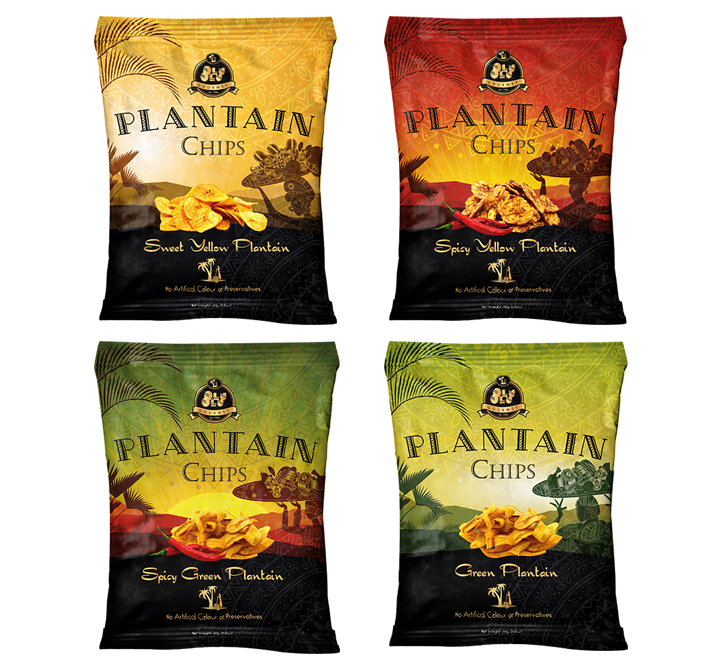 Olu Olu® prides itself on producing the best plantain chips, with the perfect taste and hearty crunch. We have taken the nutritious plantain vegetable and created the crispiest, tastiest and most alluring snack to hit shop shelves in a long time. 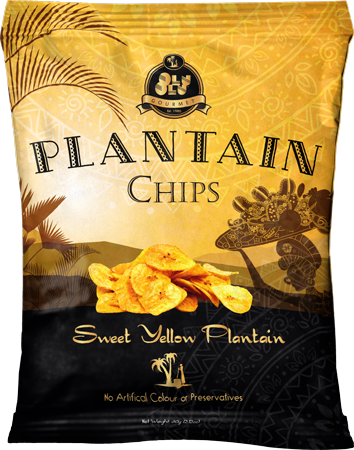 The sheer freshness and authentic flavours of our Plantain Chips has made it arguably one of the most sought after in Europe and Africa.